When it comes to the best event photographer services, the care and commitment we offer to our Los Angeles clients is without peer. 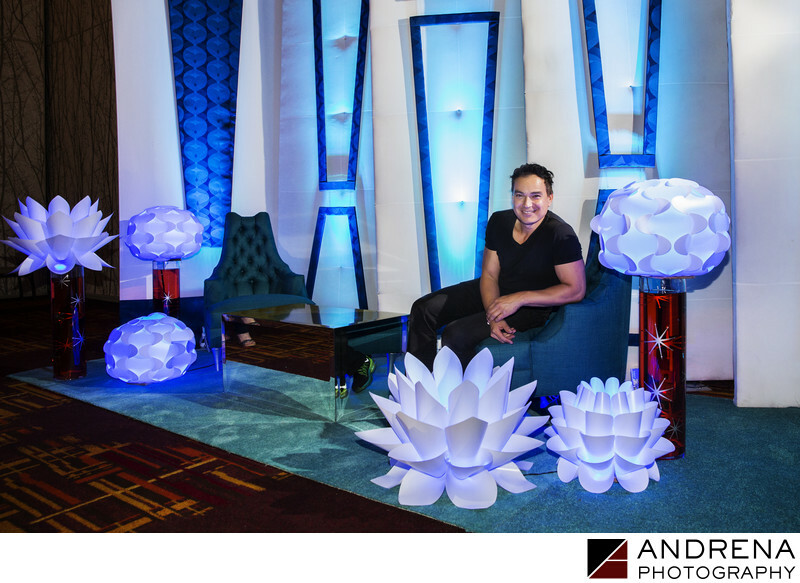 Our extensive experience with events enables us to always create the very best image from a given setup or circumstance. Event Photography Tip: We have found that the most flattering angle when photographing an exhibitor space is often from the side. This photo of an exhibitor display provides a wonderful example of this concept, as the viewer can easily tell that the front view would not be as dramatic. Adding in a human element helps inanimate objects come to life, so we found the creator of this display and had him sit on on a chair to create an environmental portrait that had strong promotional and marketing appeal. The event organizers and the creator of the display both used this images for numerous purposes.